It may not have been the first such example but the pre-2015 election consensus around long-term infrastructure planning was certainly a ‘learning moment’ for Westminster. The lessons have not been lost – despite the divisiveness of ongoing policy power struggles. The case for removing infrastructure from knockabout political games was, eventually, grasped by Party leaders despite their decades of devotion to partisan debate. Endless arguments and prevarications get in the way of well-considered solution investment whilst the people, emulating Doogle, shake their heads sorrowfully and mutter ‘What a way to run a railway’. Even building that infrastructure consensus was hard fought. Never mind that the life cycle of governments was far too short for serious investment. Never mind that the lobbyists were routinely exposed as short-term market manipulators. Never mind that the complexities of major projects didn’t fit into 78pt tabloid headlines. It was no small wonder that anything was ever achieved in the febrile atmosphere of Westminster party politics. But opening an escape hatch requires broad recognition of some impending disaster. Last week’s budget scene-setter strived to embed ‘productivity’ as a central motivating focus but was that sufficient to establish a ‘war footing’? The KCL input was as positive as possible – suggesting unity around securing a ‘peace dividend’ ‘as the country moves through this time of profound change and heightened disruption’. They didn’t dare suggest that Brexit was itself a sufficiently severe and imminent unifying threat – a diplomatic caution that serves to underline the long road between rhetoric and reality. Getting consensus around infrastructure planning set the scene for further calls to remove contentious arenas from everyday politics. Writing in the December issue of Prospect magazine, Diane Coyle’s candidate for cross-party consensus is Economic Strategy. 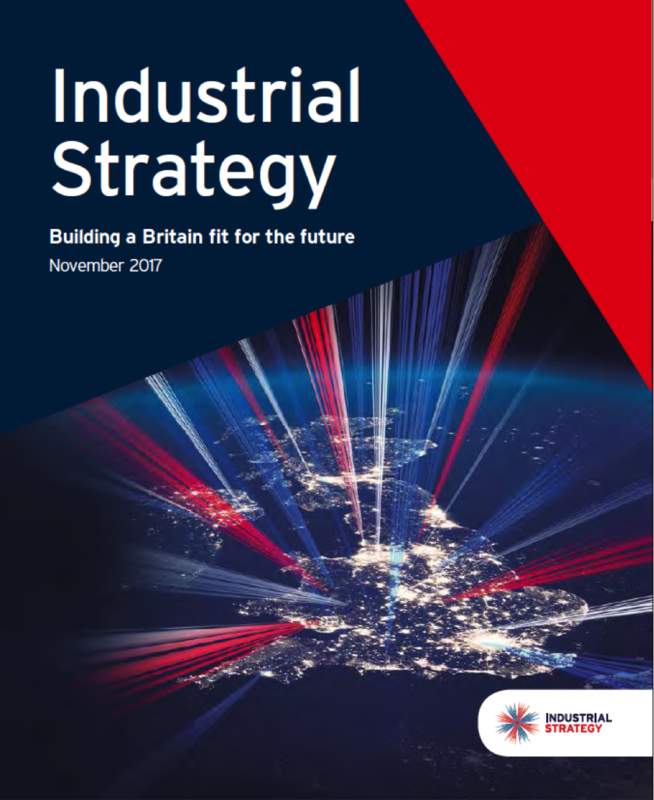 Writing as a member of the independent Industrial Strategy Commission, Diane concludes that, ‘There must be a commitment, across party lines, to strategic management of the economy, monitored by an independent body analogous to the OBR. The strategy must go far beyond a few eye-catching sector deals and be aimed at long-term challenges, such as decarbonising the economy and delivering health and social care for an ageing population’. What may have started with independence for the Bank of England and the creation of the Office for Budgetary Responsibilities and a seemingly endless list of ‘arms-length’/independent regulators seems now to have become the model for a new hands-off school of government. That withdrawal, however, is a prospect that now seems far more likely to succeed at a local level closer to the people and their communities. An alternative ‘escape hatch’ for conflicted macro-managers is to back-off and devolve issues to regional/metro and local governments where attending to the great diversity of needs can help untangle the centrally knotted issues. The other great advantage of letting go is that local political discourse is far more inclined towards the consensual and the emergent White Paper is certainly not short of placed-based aspirations. The UK is, arguably, the most centralised of all advanced economies. Sadly, subsidiarity is often and erroneously painted as some dark and suspect EU concept but as any parent with teenagers will know, there comes a time when youngsters must be let go. So it is with Mrs and Mr Whitehall – the offspring must be trusted to provide the energy for the entire family’s next generation. And I wrote all that without using the F word. ← And The NextGen Digital Challenge 2017 Winners Are . . . Thanks Ian – my forgone F word was, of course, federal. I think my orginal comment stands. Can you imagine a federated UK? F-rightening.